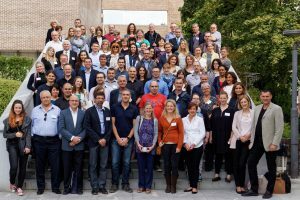 We are very pleased to welcome you in Ljubljana, Slovenia, for the next COST Action TD1302 CYSTINET meeting that will take place on September 27-28 2016 (28 September is a joined meeting with the EURO-FBP Action), at the Faculty of Medicine, University of Ljubljana. Which are the multipathogen detecting tools currently existing? Which pathogens could be combined? Which techniques could be envisaged? Should the focus be on high throughput systems? For which regions (resource rich vs resource poor regions)? Do we also need tools to genotype FBP and when is this important? Is WGS feasible to identify FBP knowing that this is the future for bacteria and viruses? How can we, as a group, start/continue this? Travel information and a List of hotels (Travel&Hotel Info CYSTINET) near the venue with reduced prices for CYSTINET and EURO-FBP participants. Since the booking deadlines are very tight we recommend you book a hotel as soon as possible (Hotel Meksiko – Reservation Form). You may of course also consider alternative hotels.